HD 778TR1, HD 978TR1 and HD 978TR2 are transmitters that are two-wired configurable transmitters that are passive, having microprocessor for thermocouple sensors of the K, J, T and N type. They convert the thermocouple voltage values into a current signal that falls in the range of 4…20mA. This output can be set into any temperature range within the measuring range. 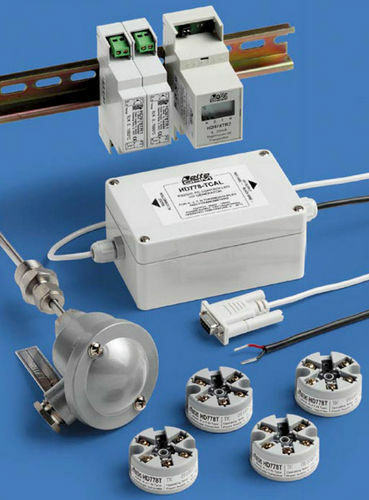 The range and type of thermocouple to be used can be set just by using one button. An LED will indicate the alarm situation if the sensor is not connected or is broken. The transmitters are protected against polarity inversion. HD778TR1 can be installed in DIN B type connection heads. And the HD978TR1 and HD978TR2 versions can be mounted on 35 mm DIN.